Please note that the specification for the Codebook Exchange Standard is contained within the Project Exchange Standard specification. 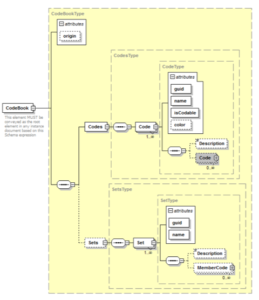 The XML schema of an imported or exported Codebook, is a description of a type of XML document (here a .qdc file) expressed in terms of constraints on the structure and content of .qdc files. 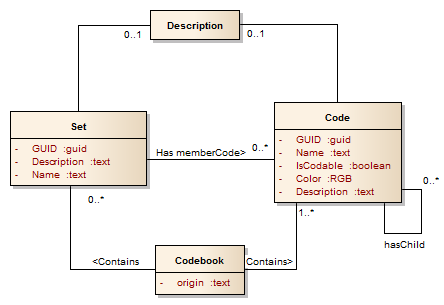 This means that beyond the basic syntactical constraints imposed by XML itself (a well formed xml file), each .qdc file exported from a software should be valid according to this .xsd file. 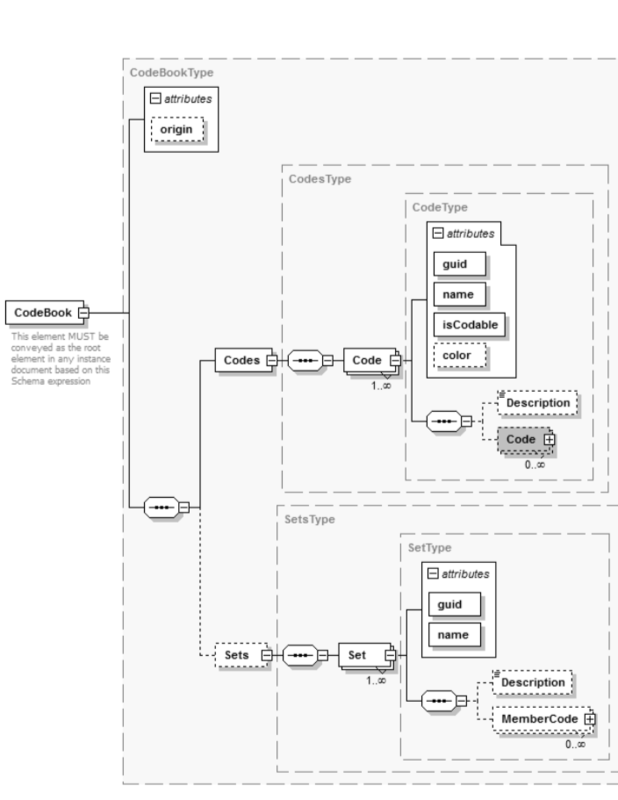 Below is a graphical representation of the Codebook Exchange XSD. The XSD file of the Codebook Exchange Standard is downloadable here.